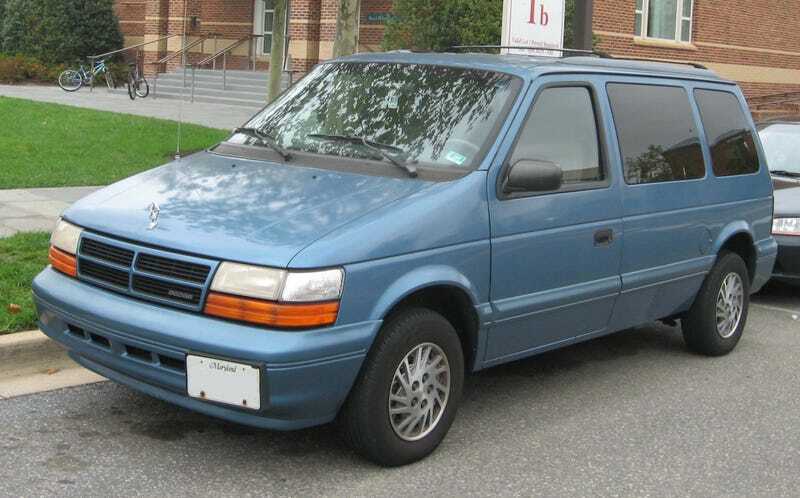 I learned how to drive in the family caravan, one identical to what’s pictured here. It had much less paint and hubcap for most of the time that i remember it, but it was faithful to it’s end. Two older brothers also learned to drive in it, and despite all of that it only met it’s demise when we couldn’t get a smell out of it. You see, before some designer and/or engineer came up with the idea for a recessed floor in the back, things such as groceries could roll or slide around under seats after being placed in the cargo area. Just before my junior year of high school, such a thing happened with a tray of raw chicken. In the unrelenting heat and humidity of Northern Virginia it sat for nearly a week, while necessity dictated we take other vehicles. The smell permeated outside of the poor caravan, we just thought it was our garbage cans. We moved them from in front of the house to the side of our garage behind the fence to avoid the odor right outside out front door. It was then that we really started to question the source of the smell. That question was answered when my sister opened the van and was hit by a wall of rot-stench. No amount of Fabreze, Buhbreeze, or professional detailing could get the smell out. The best solution was to drive with the AC on full blast with all windows down and your head out the window. That wasn’t tolerated for long, and so still-running, 300k+ Dodge was sold to a scrap yard. And that was that. The days of piling in smelly teens after cross country practice were gone, as well as using a casette adapter to play music from my Creative Labs Zen Mp3 player. And the AC outlet that actually held a lighter for most of it’s life, which only got occasional use in lighting fireworks of questionable legality.